Across the country, the extreme weather has been causing yet more chaos. In Cornwall, police urged drivers to stay at home after a seven year old girl was killed in an accident. The National Grid said there may not be enough gas to meet the demands of both domestic and industrial users, although it emphasised that no home would be cut off. As the biting weather coming in from the East comes up against the effects of Storm Emma, the area affected by the snow has become even more widespread. In Scotland, Glasgow airport remained closed for a second day and all inter-city bus services have been cancelled. 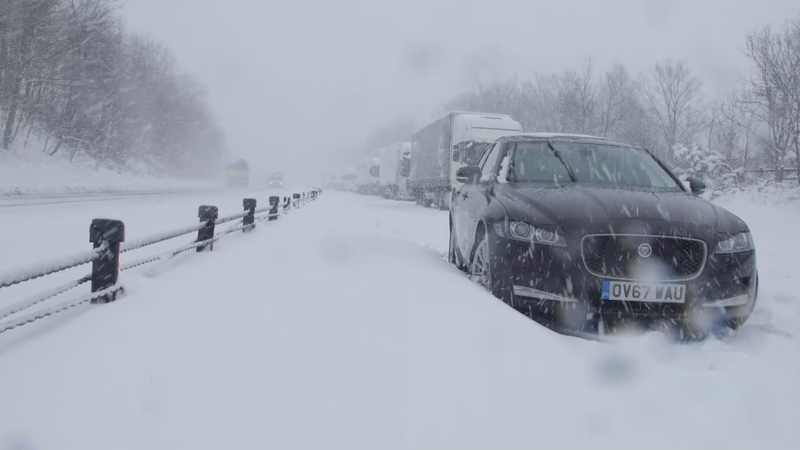 Our correspondent Tom Clarke went to speak to some of the hundreds of motorists trapped in their cars for up to 20 hours on the M80 motorway.